Ichijo has broken ground on their new duplexes being built near our community park. The Japanese builder is well-known for their modern-style homes built in the Seattle area as well as the number of innovative technological features included in their homes. 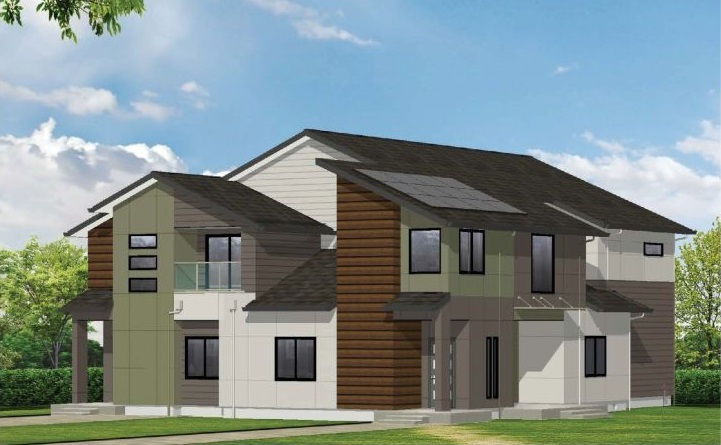 The new Ichijo duplexes at Ten Trails will feature piano finish cabinetry with pull-down shelves, spice racks, adjustable built-ins, architectural grade dual-sliding windows, and contemporary interior doors which include metal inlay, ten-degree short stroke handle and magnetic stop doors. Work is being done on these new homes right now, with two model homes to open in Spring 2019 so you can see all these great technological features in person! Follow Ten Trails and Ichijo on social media for updates on this new section of the community!